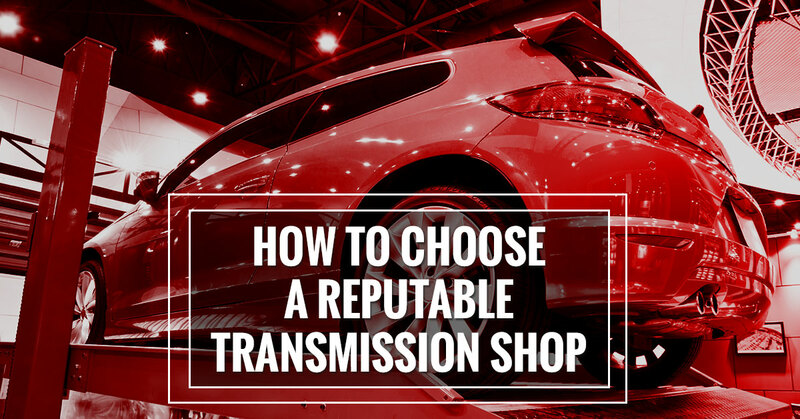 It isn’t always easy to know what to look for when choosing a transmission shop. With so many scams out there, many people feel a vague sense of hopelessness when it comes to vehicle repairs. Is anyone out there reliable, reputable and honest? Being able to choose a good-quality transmission shop may be difficult, but it’s not impossible. However, it requires pulling aside the marketing-speak and getting down to the data that you can observe about the shop. So let’s take a closer look and establish some criteria that will help you to choose. One of the difficulties in choosing an auto transmission repair shop is that what you want is different from what the shop wants. In a perfect world, you would both want the same thing, but unfortunately, this isn’t a perfect world. While it would seem that you would both want the same outcome (a working transmission), that isn’t always the case. You want to able to choose a shop that will give you the best service at the best price. You want your transmission fixed fast with transparent pricing and dependable quality. You don’t want any surprises, hidden costs, or sabotage that will make you dependent on going back again and again to the same shop for more and more things that they “found” were wrong with your vehicle. Many shops want to be able to do the least work for the most money. It’s human nature to be a slacker but still want to turn a profit. There are business pressures that make it attractive to try to do just enough work to get by, but not go above and beyond. The style of management differs from shop to shop and may either motivate employees to do a good job or encourage them to just do the bare minimum. However, there are some transmission shops out there that are different. You can still find ones who have values of honesty, integrity, and customer service. Of course, everyone will say that they value honesty, but then you find out (too late) that their words aren’t consistent with their actions. So how can you cut through the false promises and uncover the shops who will give you the service you truly deserve? Here are a few tips. Get more than one quote. If you get just one quote, you may just assume that this is “how it’s done” and you won’t realize that other shops don’t work the same way. Do you like what you do? Was there ever a time when you had to eat the cost of something unexpected in order to keep your word? [Ask the employees:] What qualities does your boss reward? Does management reward shoddy work that’s fast over the best-quality job that takes a little more time? Look at reviews. Check out Yelp, Google+, and other sources of online reviews to see what other people are saying about the shop. Check out their business model. Is it a chain or a family-owned business? How long has the company been in business? Have they experienced growth or stagnation? Here at MC’s Transmission, we are not a chain, we’re a family-owned business that serves Northville, MI and the surrounding communities. We have a different work ethic. Instead of trying to do the least amount of work possible, we are passionate about our craft and do this for a living because it’s what we love. This care and attention to detail will show in the smooth-running car you get back after we work on it. For all transmission service, repair, and rebuild projects in the Northville area, give us a call to get the job done right the first time. Schedule your transmission service today. MC's Transmission Service is a full-service transmission repair shop located in Livonia, Michigan. ©2018 MC's Transmission. Do not copy. All rights reserved.